Genuine Tarox 6 Pot Calipers. Genuine Tarox 325mm diameter discs. 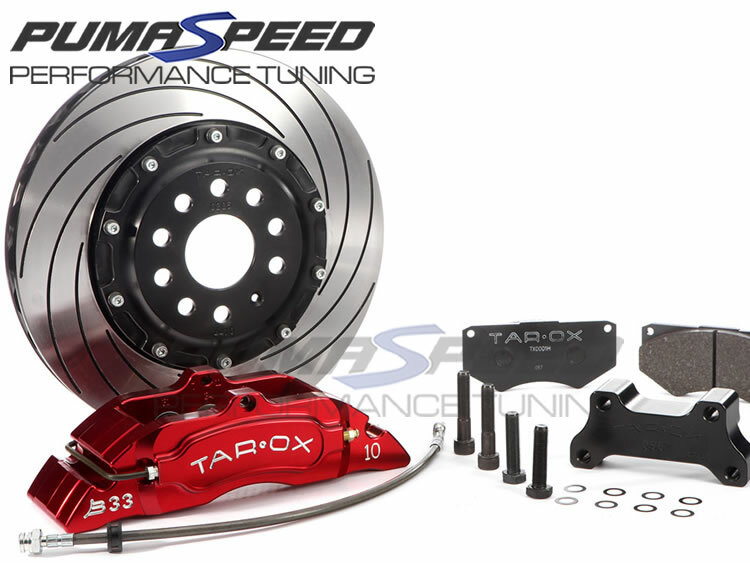 This Ford Fiesta ST180 325mm Tarox Brake Kit comprises of a pair of 325mm diameter Two Piece Bell and Discs, a Set of Six-piston B32-6 calipers and a set of pads from the proven Tarox range. Available with a choice of Caliper colours. It requires 17" wheels as a minimum. The Pumaspeed Workshop team are ready to fit the Fiesta ST180 Tarox Brake Caliper Kit 325mm in our Head Office located here. Therefore making parts and labour a total cost £2,056.80 (inc. VAT). Pumaspeed have a specialist distribution team that can dispatch the Fiesta ST180 Tarox Brake Caliper Kit 325mm to any destination worldwide.